The Anritsu MS2711D Spectrum Master designed specifically for a field setting, is used for monitoring, measuring, and analyzing signal environments. 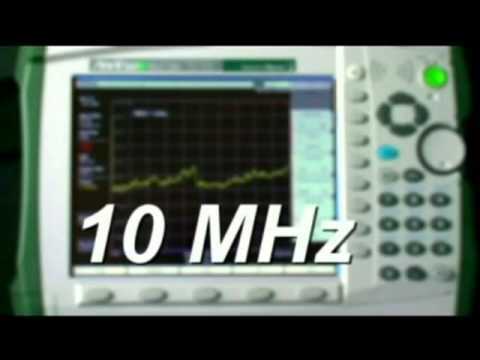 Measurements conducted by Anritsu MS2711D include: in-band interference, transmit spectrum analysis, antenna isolation and cell area interference. The MS2711D is light enough for mobile applications and has a battery-operated design that makes it portable and easy to conduct spectrum analysis measurements anywhere. Whether you are installing, maintaining, or troubleshooting, with the Anritsu MS2711D, you can locate, identify, record, and solve communication systems problems quickly and easily with great precision. With features like ease-of-use, broad functionality and its frequency range of 100 kHz to 3.0 GHz, the MS2711D is perfect for conducting field measurements and locating the source of interfering signals. The Anritsu MS2711D is available for rent or lease at TRS-RenTelco with 365-day customer support. Request a quote today.